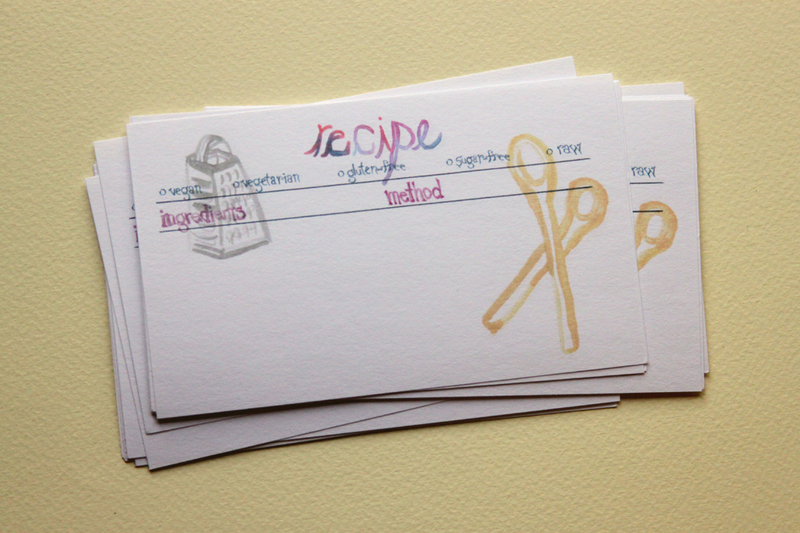 I've updated my Etsy shop with a new section, recipe cards! 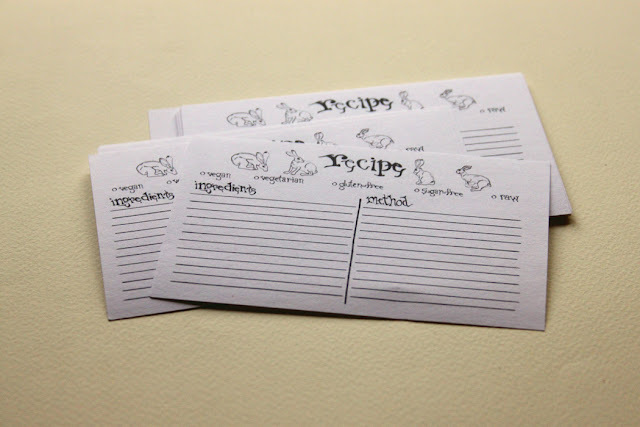 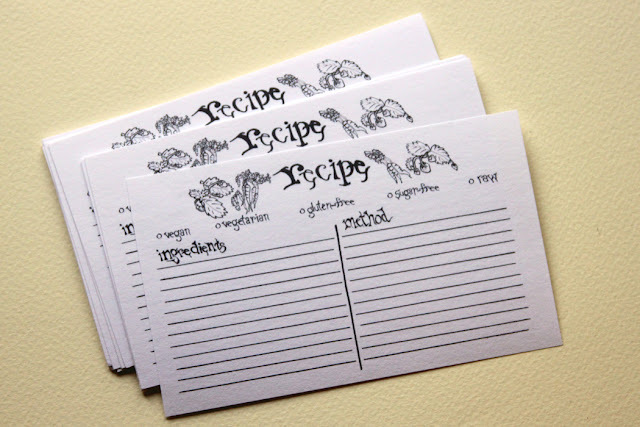 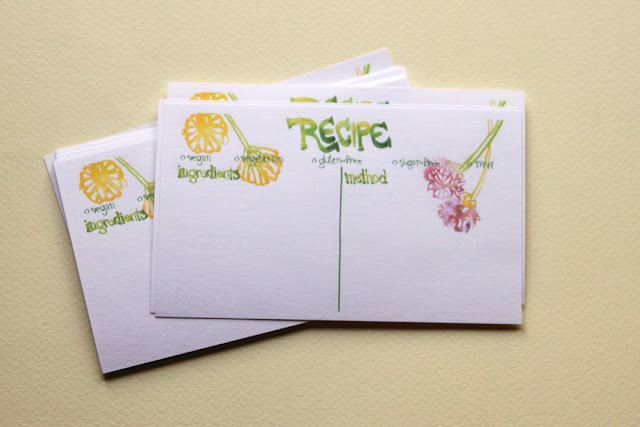 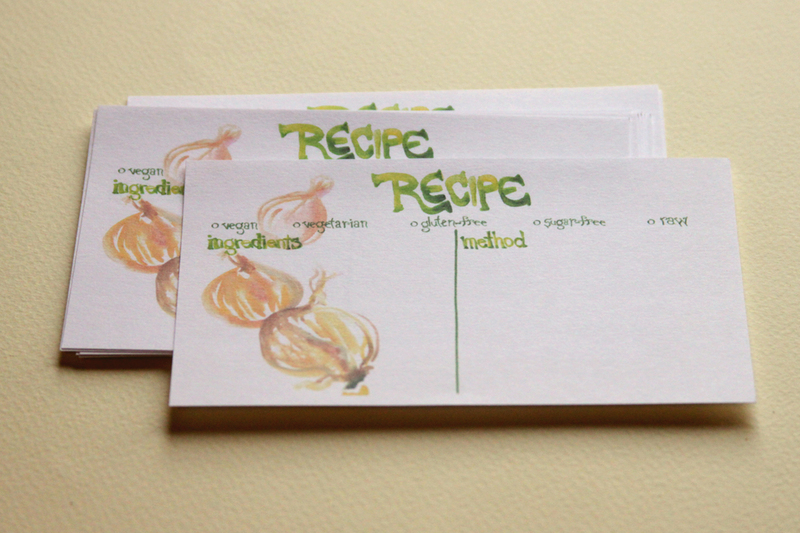 These adorable recipe cards are great for organizing your own recipes or as gifts for friends and family. Handwrite your favorite recipes on these prints of my hand-drawn, hand-letter illustration and gift them to your loved ones! 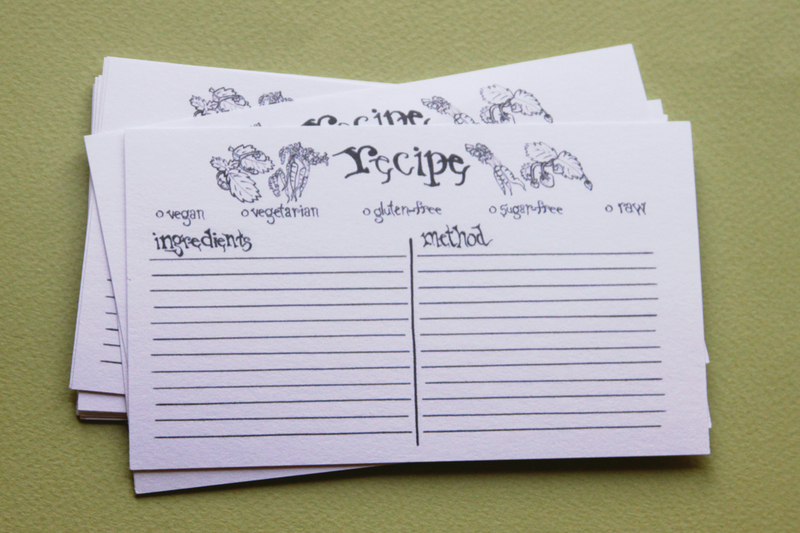 This piece would be a wonderful gift for a vegetarian or vegan, and a lovely addition to any kitchen. 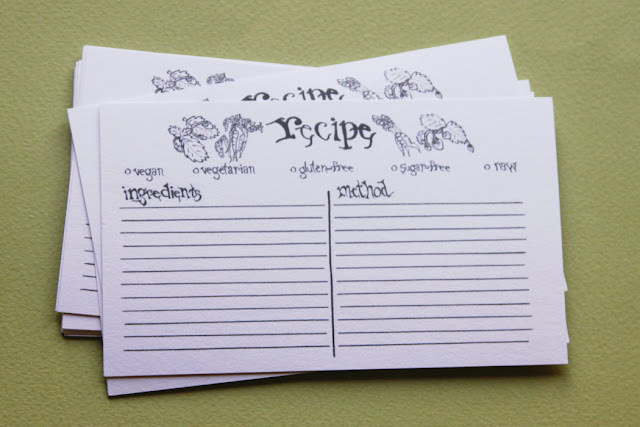 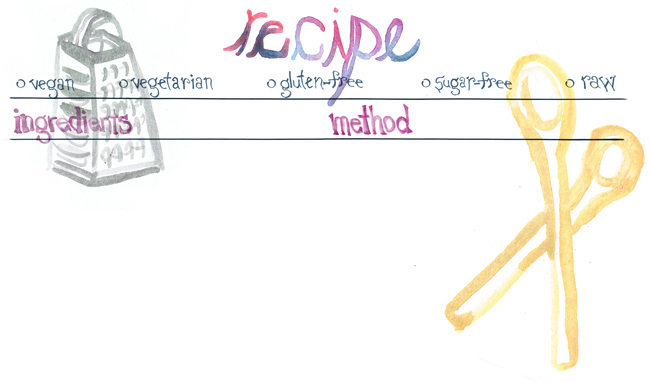 My recipe cards have check boxes where you can specify which categories the recipe falls under - vegan, vegetarian, gluten-free, sugar-free, and raw. 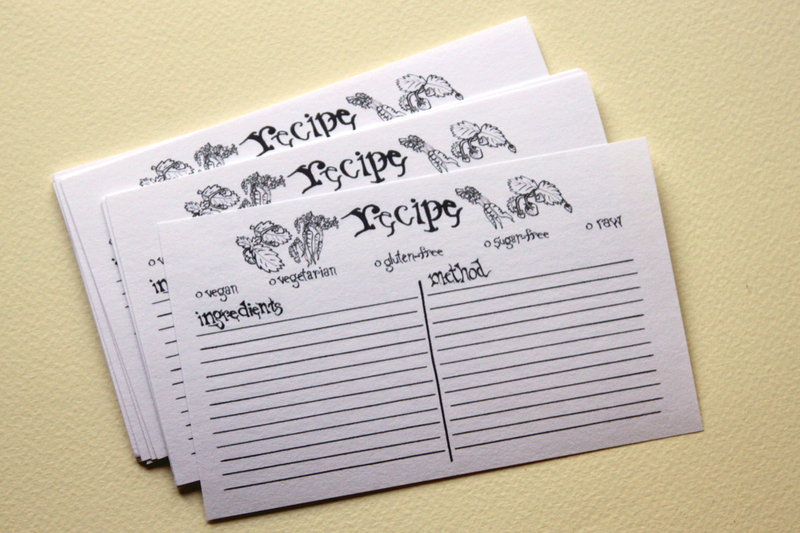 A great way to see at a glance what recipes are great for which guests and which occasions! 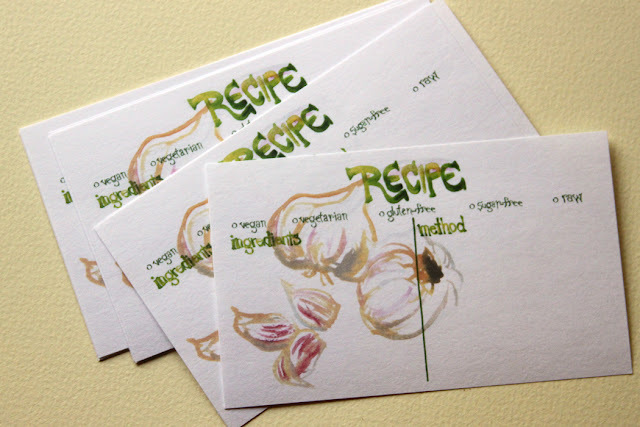 The originals for these pieces are hand-lettered ink and watercolor, as well as hand-drawn ink and watercolor drawings.